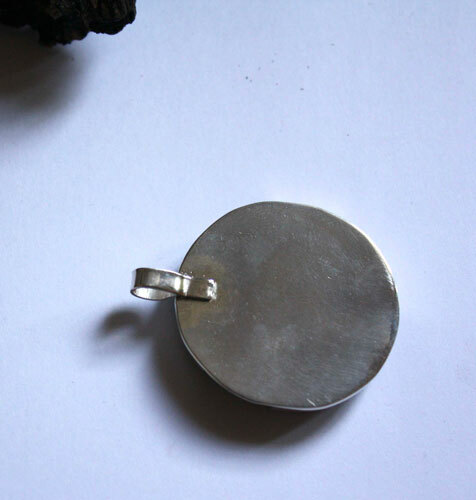 It is made of 925 fine silver made by hand in my workshop and a very large bumblebee. 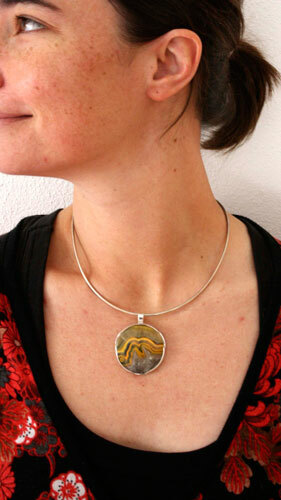 This pendant is circular, following the section of this bumblebee cabochon. 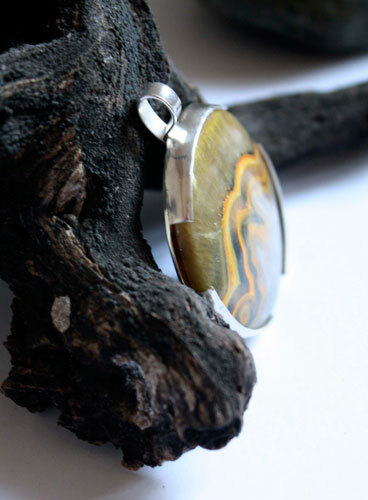 I want to especially highlight this semi-precious stone whose motive is sufficient in itself. It gives the impression of representing a mountain in gray-black tones, still covered by the shadow of the night. 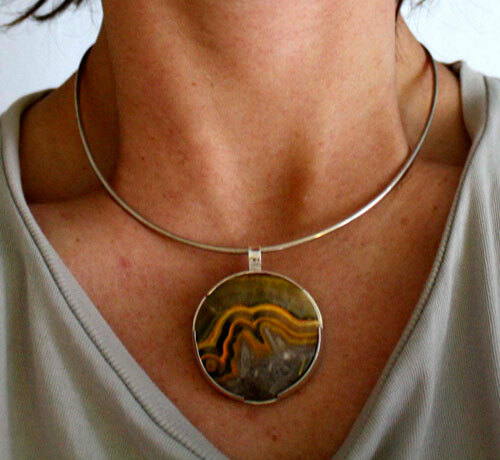 Above, a series of yellow stripes evokes the sunrise, appearing above the mountain. 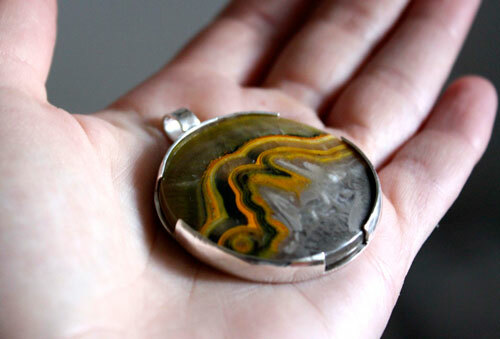 This is fantastic and magical landscape awakens through the pendant. 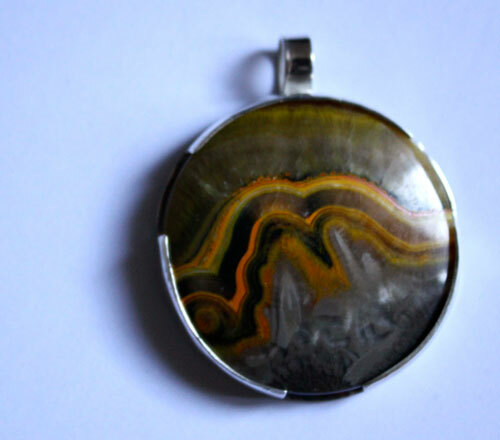 Tag: sterling silver, disc, round, circle, modern, abstract, agate, bumblebee, pendant, semi-precious stone, dawn, sunrise, mountain, night, dark, shadow, yellow, gray, black, landscape, magical, fantastic.